Come and join us - don't sit in the cold alone! We will be calling on all shops, pubs and public buildings to welcome those who wish to get warm. Fuel poverty should be seen as a public scandal, not as a private problem. One in four families in the UK is shivering, out of sight, behind closed doors. There were a shocking 25,700 additional UK deaths last winter compared with other seasons. Yet the 'Big Six' energy corporations are making massive profits. 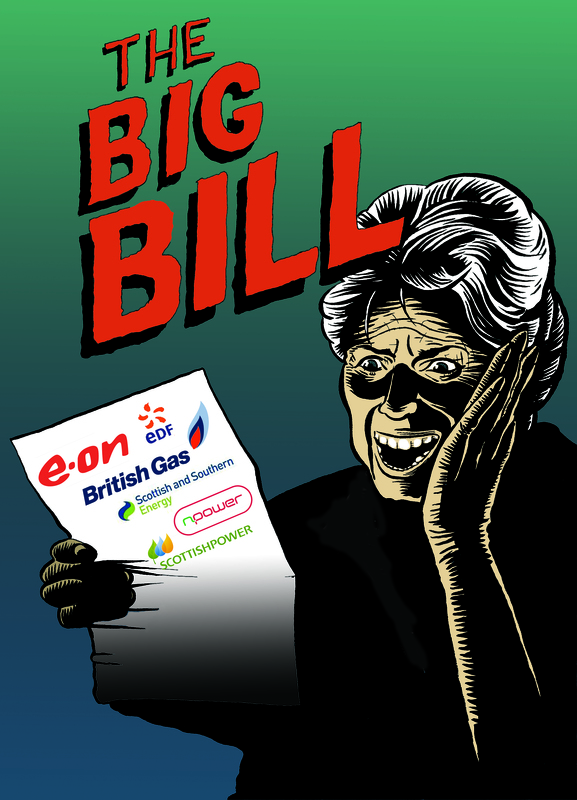 The government and energy companies may want to keep it this way, but we say this can't go on. How do we get green issues back into the Social Struggle? BP – Guilty of Climate Crimes! HSG organised a protest against giant corporation BP on Saturday 26 June outside Tottenham Hale BP Garage as part of Haringey Sustainability Month. The aim was to draw attention to the many climate crimes BP is responsible for, all in the name of profit, show solidarity with workers exploited by the corporation and encourage people to build collective and local alternatives to the climate crisis. On Tuesday November 24th the Sustainable Haringey network and the national Campaign against Climate Change held a successful public meeting in Wood Green Library. 50 residents attended to see a film: 'Countdown To Copenhagen' (newly made by Haringey-based documentary team, Reel News), to hear speakers, and to take part in discussion and debate to mark the United Nations Climate Change Summit in Copenhagen from December 7th -18th. The meeting launched the local publicity for the national 'Climate Action Now' demonstration in Central London on December 5th, and the Haringey Carbon Reduction and Sustainability Fortnight of green events from Dec 4th-20th. Participants also took away over 10,000 flyers to help kick off some of the mass door-to-door and workplace leafleting planned throughout Haringey to publicise those events. He said that local action 'demonstrates to the public that positive changes can be made affecting our everyday surroundings and lives', for example home energy efficiency measures, greater local food production, and more sustainable transport use. 'Showing that there is mass local support for such measures has helped to convince the Council to recently adopt strong carbon reduction t argets - many other Councils are now following suit'. He was greatly heartened by a Haringey Schools Climate Summit earlier in the week where young people took part in discussions and debate 'showing a great deal of concern and maturity over the issues and a determination to see real changes'. Save Bull Lane Playing Fields!